For many Americans, health insurance costs can deter them from getting coverage, even if it means putting their health in jeopardy. While monthly premiums can be high, there are options available to get good coverage without breaking the bank. Knowing your needs, budget, and health concerns are key in buying the right health insurance plan for you or your family. Ready to find health insurance near you? Simply browse health insurance near me on the map below and find a list of quality health insurance agencies near you. Need a bit more information on health insurance? How about some tips on choosing the best plan? Read on for facts, trivia, advice, and more. You’ll be a health insurance pro in no time! Unlike many countries, you cannot buy health insurance at any time in the US, unless you meet special enrollment standards. Open enrollment is the period of time each year when you can actually sign up for health insurance. If you can’t sign up or don’t sign up for health insurance during an open enrollment period, you may have to wait until the next open enrollment period unless you experience what is known as a qualifying event. As you’re searching health insurance near me, its easy to get discouraged when you need health insurance now and aren’t in an open enrollment period. When are the open enrollment periods in the US? The time of year for open enrollment will actually depend on the health care plan you choose. If you qualify for Medicare, open enrollment will generally run from October 15 to December 7 each year. This does not apply to Medigap plans. If you’re eligible for health insurance through your job, open enrollment periods will be set by your employer and can happen at any time of year. However, most will begin in autumn so that new coverage periods can begin in January. What about private insurance or the individual market? Well, open enrollment periods have varied considerably over the years. For the 2019 health insurance year, open enrollment will begin on November 1, 2018 and run until December 15, 2018. Plans purchased during this time will become active on January 1, 2019. Some states do offer extensions for extenuating circumstances. Everyone needs health insurance, even if you think you’l never use it! Americans are not offered universal healthcare, which means we have to pay what is known as a health insurance premium every month. 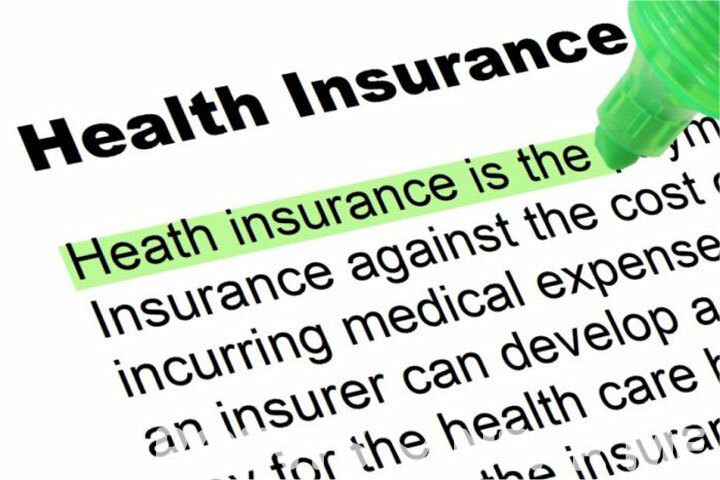 What is a health insurance premium? Consider this as you search health insurance near me. A premium is the amount you will pay for your health insurance every single month (without exception). In addition to your premium, you’ll also need to pay other costs, including a deductible, copays, and coinsurance. Monthly premiums can vary greatly depending on your financial situation, age, and overall health condition. On average, a healthy individual will pay around $331 per month. A family, will generally pay around $833 a month. Individuals who meet certain income requirements may be eligible for a credit from the government which may lessen your overall monthly costs. Navigating the world of health insurance is tricky, especially if it’s your first time buying individual health insurance or purchasing a family plan. You’ll come across a lot of terms while searching health insurance near me, including “copayments” and “coinsurance.” While these two costs may sound similar or related, they are not the same and require two totally different types of payments. Copayments and coinsurance are similar in that they are both types of cost-sharing between the consumer and the insurance company, but they are two distinct types of payments. In a copayment, also known as a copay, you’ll need to pay a specific flat dollar amount to the provider for every service or treatment. This cost will vary based on the plan you have purchased. Plans with higher monthly premiums will generally offer lower copays, especially for specialist visits. Coinsurance, is a percentage of costs that you must pay after the deductible is met. For example, you may have a deductible of $5,000 before insurance will kick in for 80 percent of the charges, leaving you responsible for the other 20%. When purchasing a plan, keep deductibles and coinsurance in mind. Sometimes you will be responsible for more than just your copayment after receiving treatment. When searching health insurance near me, always keep deductibles in mind. A deductible is the amount you will pay for covered health services before your insurance plan will start to pitch in. For example, with a $10,000 deductible, you pay the first $10,000 of the covered services yourself. For folks who face health concerns, this could mean big out of pocket costs until the deductible has been met. After your deductible has been met, you’ll typically only pay a copayment or coinsurance for services that are covered. Your insurance company will cover the rest. Keep in mind, some plans will have separate deductibles for prescription drugs or out of network physicians or specialists. Family plans will carry both an individual deductible and a family deductible. Meeting one does not automatically mean you have met the other. When buying a plan, keep in mind that lower monthly premiums almost always carry higher deductibles. Plans with high monthly premiums generally have low deductibles. The system is not always fair to those who cannot afford high monthly premiums, but unfortunately, that’s the name of the game.